We had a very productive weekend in New Orleans. Prior to driving up, we had multiple discussions that we had to go into this trip knowing it was a "business trip" and not a pleasure trip. This helped us after returning home, realizing that we did not step a foot on Bourbon or Frenchman Street during our three days in NOLA. I do have to state, it was nice waking up without the first thought being "I must have a bloody mary & an Advil ASAP". After visiting a few reception venues, we signed a contract at Hotel Mazarin. 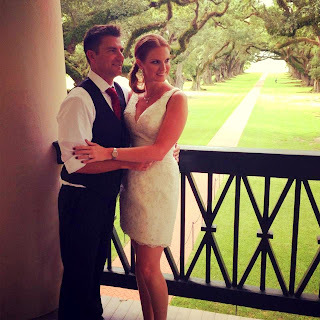 This will include a cocktail hour in their courtyard and a reception at the adjacent La Louisiane Bar & Catering Venue. 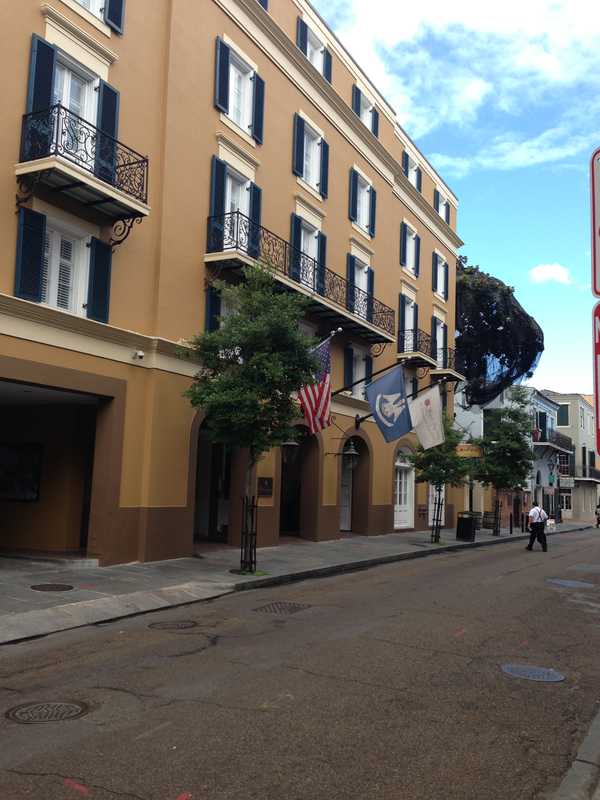 Hotel Mazarin is centrally located in the French Quarter, a half a block from Royal Street and a half a block from Bourbon Street. Both of us fell in love with the venue and the hotel. 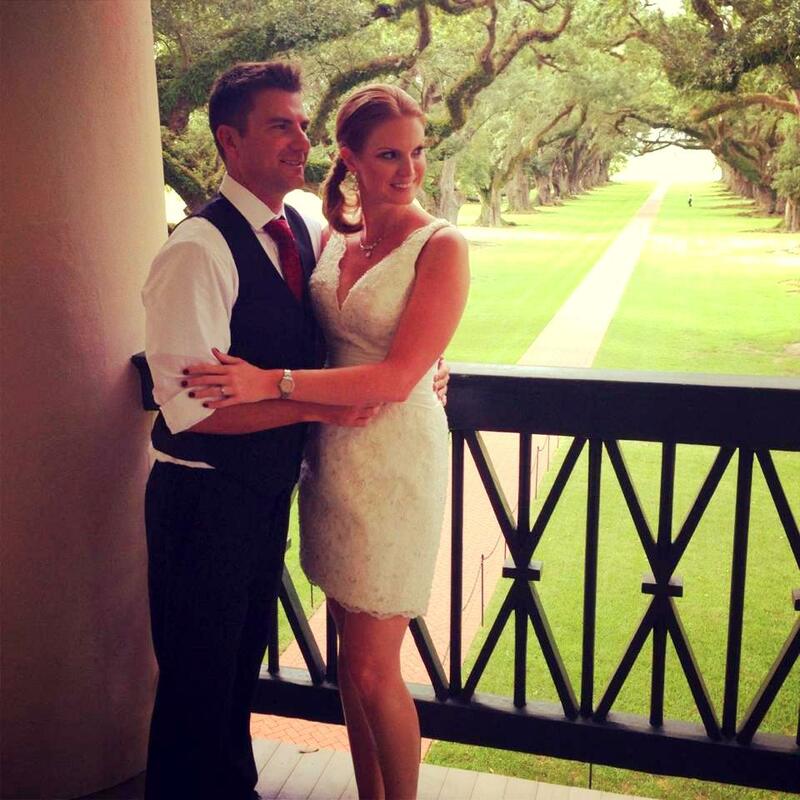 Ironically, Hotel Mazarin is the first place I contacted when we decided to get married in NOLA. It was also one of the first wedding images I pinned on pinterest prior to getting engaged! 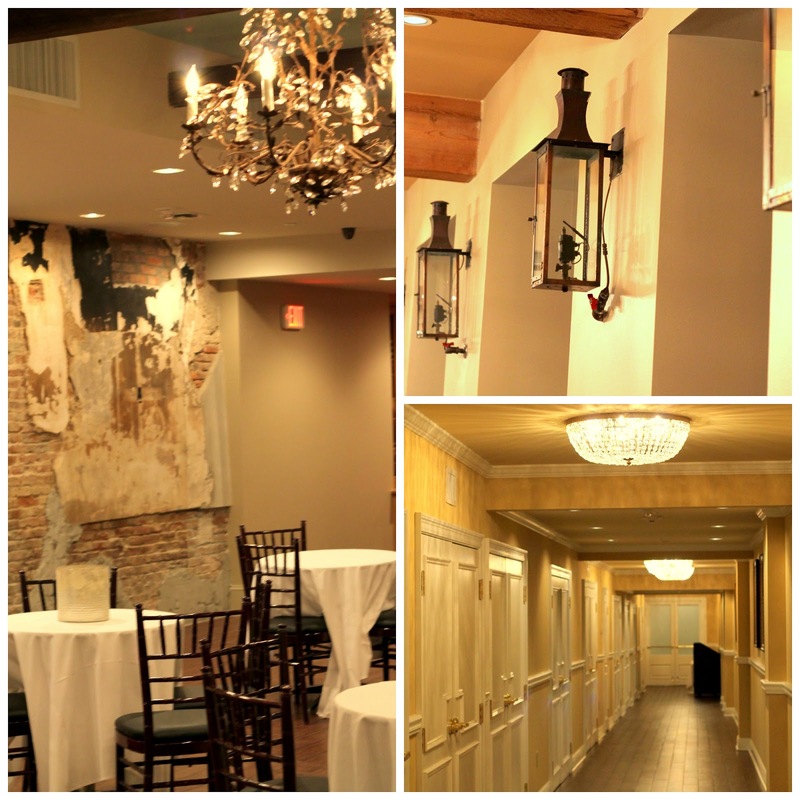 What sold us on this venue was that it was historical, romantic AND upgraded, recently getting a multimillion dollar renovation. 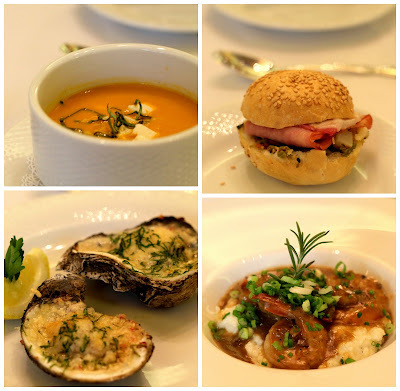 Mazarin kept the old New Orleans charm we were looking for but had every modern amenity we wanted. It is the best of both worlds and perfect for us. 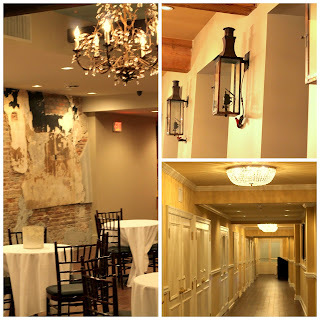 Chandeliers everywhere, gas lanterns, open brick walls, plenty of space and a huge bar that is adjacent to the main room. 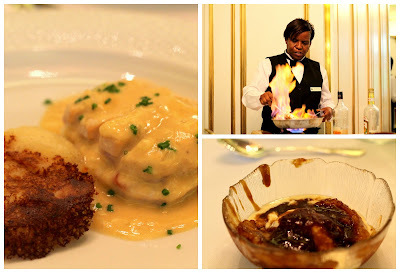 While we visited Hotel Mazarin, we were fortunate enough to get a tasting on a few of the items from our wedding menu. We will have mini muffuletta sandwiches, fig and goat cheese flat bread (not pictured) and smoked salmon canapes (not pictured) during the cocktail reception. For the dinner, gumbo (not pictured) baked oysters, shrimp and grits, chicken cordon bleu, slow roasted top round of beef (not pictured) and a bananas foster station. Gabe and I will also have signature drinks during the cocktail hour! Any guesses on what I am choosing for mine?? Another big decision made and less than 13 months to go! At first, I was very skeptical about planning every aspect of our wedding via the internet. As of this moment, everything from our venue to my dresses has all been coordinated online and we couldn't be happier. The amount of money I have saved to date is astonishing, even to me - the girl who gets a deal on everything. Your reception spot is gorgeous!! I love love love it. So classy! Thank you so much Carrie! We are super excited!!! I still can't believe how much you've accomplished already. My mind is blown. Perhaps YOU should be a wedding planner?!? The hotel is so gorgeous...I agree with you on the renovation...just judging from the pictures you're so right that they kept the old charm of New Orleans with features like gas lanterns. SO beautiful. Food looks (and will be) most excellent too!! !